We be dancing and strikin. 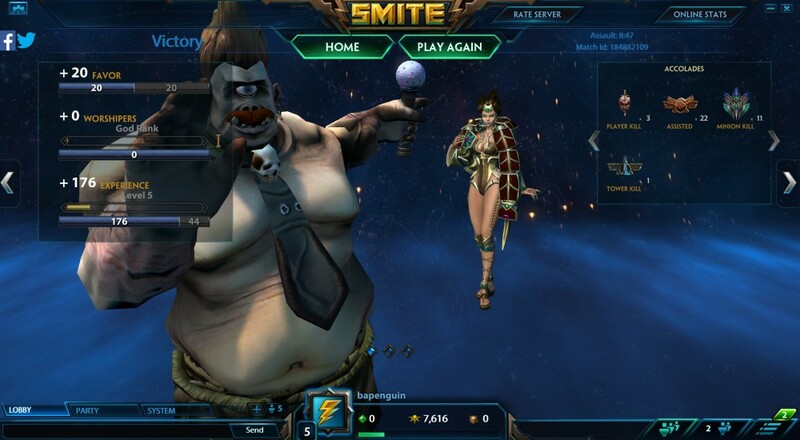 Last night the Monday Night Stream crew checked out SMITE, the MOBA that mixes gods with 3rd person action. The game has been around for a quite a while actually, but recently found its way onto Xbox One and now Steam - so we felt it was a good of time as any to play. The game supports co-op across all game modes, some of which are different than your typical MOBA. For instance, in the arena players try to get their creeps into an opposing portal to score points while battling against other gods and random monsters for buffs. The stream takes you through Arena, Joust, and the typical Conquest mode and then looks at some of the personality that SMITE oozes. It's easy to see that Hi-Rez studios has a certain flare for their game which comes out in the emotes and skins the gods don.